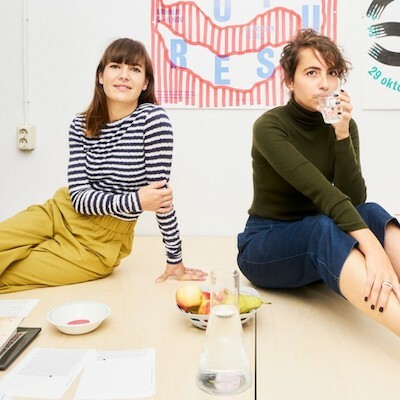 Simone Trum and Loes van Esch collaborate as graphic design duo Team Thursday, since 2010. They focus on the design of visual identities varying in scale and complexity – from walls to books and exhibition design. The process, or performative aspect, plays an important role in their work – this translates into a special interest for tactility and materiality, but can also evolve in a spatial design or activity.